Help Support Hike Mt Shasta…Buy The Book! Whether up here in Mount Shasta or elsewhere in this great land, it is my desire that everyone is out having a great weekend. In the midst of all the remembrance (what the weekend is really for), family time and outdoor activities, I hope that Hike Mt Shasta has contributed in some small way to your enjoyment. I know for some it has contributed directly in helping to plan a trip or a hike or indirectly, while for others it has been keeping you connected to Mount Shasta and the surrounding region even if you live far away. It is not my normal practice to plug my book on the area so deliberately (though some tell me I should) but I reckon this is a good opportunity to mention it. That said, if you have not purchased my hiking guide on Mount Shasta, doing so would be much appreciated! It has many of the same great features as my site, with lots of color images, great maps and all sorts of little details that help plan a day on the trail. You can also carry it with you on the trail, which you can’t do with the website! When I wrote the book, my intention was to deliver quality, up to date information on the trails but to also provide a read that was more interesting than just point to point in instructions and would enable readers to visit Mount Shasta vicariously. If you already have the book, I really appreciate it! If you have not acquired it, you can do so by clicking here. Also, if you live in the Wine Country (Napa and Sonoma Counties) or plan to visit there, I have written a hiking guide for that region. 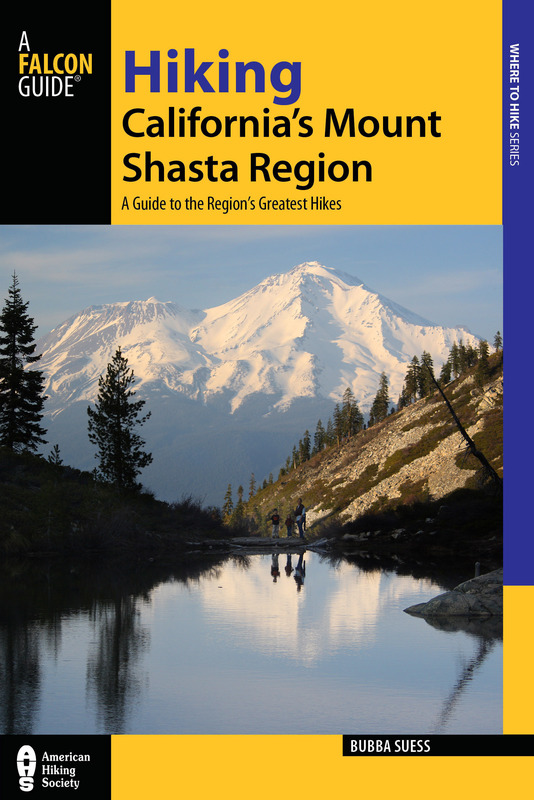 It has all the same features as the Mount Shasta guide! You can get that book here. I truly appreciate all the feedback I have gotten on the website and the book. It is always valued. Again, I hope you have a great time outside this weekend and for the rest of the summer! Will it be sold in stores too?! REI and Barnes and Nobles carry it! There are lots of stores up here that carry it too.